In 2017, Mote Marine Laboratory’s research and education programs took on some of the oceans’ toughest challenges and set the stage for decades of discovery and positive impacts. This year, Mote opened its new Elizabeth Moore International Center for Coral Reef Research & Restoration (IC2R3) at its Summerland Key campus, where this Category 5 hurricane-resistant facility was soon put to the test by Hurricane Irma. IC2R3 stood strong, protecting Mote’s coral gene bank and ensuring that Mote’s crucial efforts to study and restore coral reefs, the ocean’s “rainforests,” will continue advancing. In November, IC2R3 became the first LEED Gold Commercial-certified facility in Monroe County, Florida, recognized by the U.S. Green Building Council for its sustainable design and construction. Also in 2017, Mote’s shark- and fisheries-focused programs made bold advances, from testing new fisheries monitoring technology and studying how to expand the market for sustainably farmed seafood to informing national-level discussions of the shark fin trade. All of Mote’s diverse research programs, which number more than 20 and focus on marine animals, ecosystems and molecular- and cellular-level processes relevant to ocean and human health, have made exciting progress this year. Mote scientists authored or co-authored 59 peer-reviewed, scientific journal articles, guest-edited a special issue of a scientific journal, authored or edited three books and five chapters, produced two published conference proceedings and 94 Mote technical reports. Mote’s education and outreach programs helped nearly 400,000 people become more ocean literate and empowered as environmental stewards. 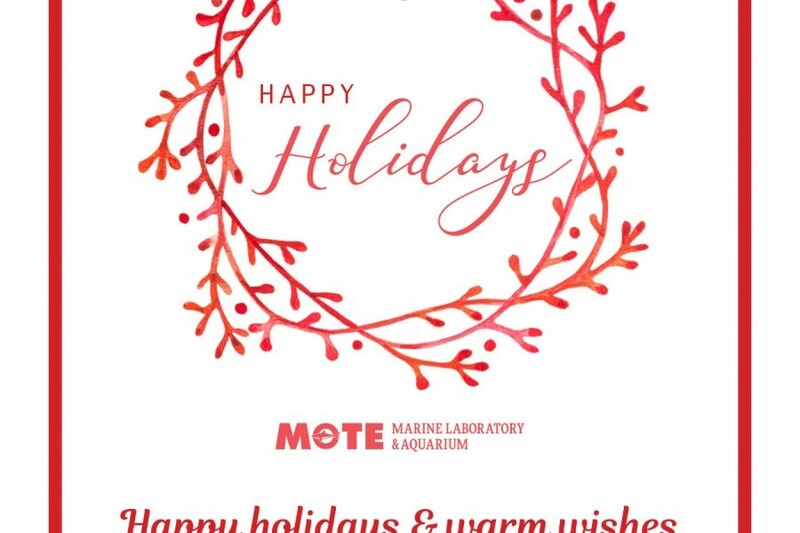 Of those, an estimated 37,821 participated in Mote’s structured education classes, including 9,658 who were served by Mote’s community outreach programs that bring science education to under-served and under-represented populations, and 333,000 visitors experienced stellar, informal science education at Mote’s Aquarium. These preliminary numbers will be finalized after December programs conclude. These accomplishments are only possible through the incredible support of philanthropic donors and Mote’s outstanding Board of Trustees, staff of more than 200, and 1,665 dedicated volunteers. In the near future, Mote will work toward a rebirth of its informal science education facility, Mote Aquarium, at a new location. This will vastly enhance the scope of and access to Mote’s informal science education and outreach programs, while allowing the Lab to significantly expand its research infrastructure on the existing City Island campus — helping this site to serve as the catalyst for development of a silicon valley of marine science and technology in southwest Florida. 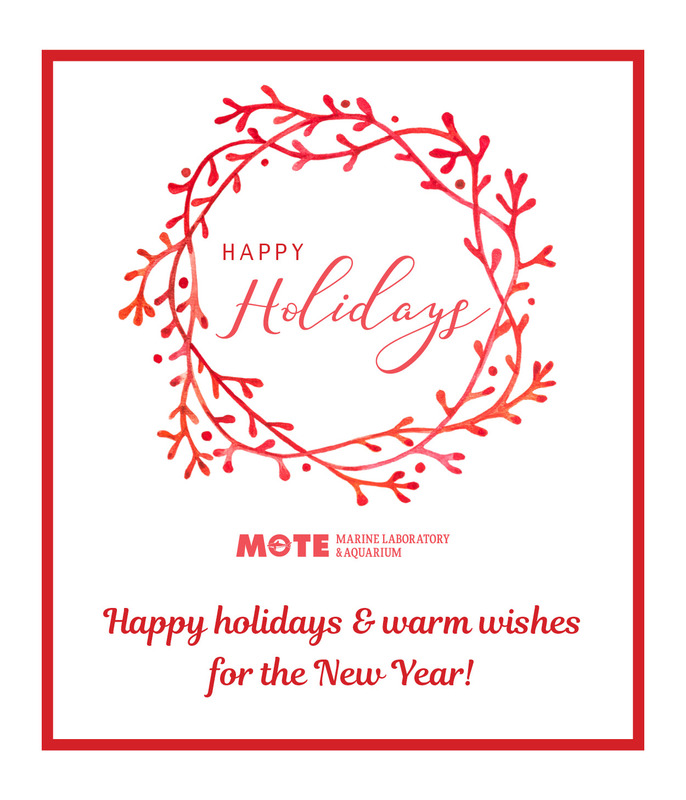 Read on for Mote’s exciting stories from 2017, including many new updates. In January, Mote scientists rolled up their sleeves and plunged into the largest marine mammal stranding response of their careers. Ninety-five false killer whales stranded along mangrove-dense beaches of the Florida Everglades. This called for a huge, team response effort from scientists and wildlife managers who mobilized immediately to learn all they could and ensure humane treatment for the whales. Partners included NOAA Fisheries, the Florida Fish and Wildlife Conservation Commission (FWC), the National Park Service, Mote Marine Lab, Chicago Zoological Society, Dolphins Plus Oceanside Marine Mammal Responders, Harbor Branch Oceanographic Institute, Marine Animal Rescue Society, Rookery Bay National Estuarine Research Reserve, the University of Florida, the U.S. Coast Guard and the U.S. Geological Survey. Rescuers tried to herd several animals back into deeper waters but they re-stranded. Seventy-two whales died on their own, 10 were humanely euthanized, and 13 were unaccounted for. Members from Mote’s Stranding Investigations Program, FWC, NOAA Fisheries and University of Florida performed complete necropsies on eight of the animals and samples for genetics were collected from all known animals, with the goal of learning more about this species’ life and challenges in the wild. As of December 2017, researchers continue processing the thorough collection of samples obtained from these stranded whales. The whales that died on their own appear to have perished from exposure, due to stranding on the beach. What caused the stranding remains unknown at this time. Some strandings are never fully understood, but each sample and bit of data are useful to scientists working to understand these animals' lives and deaths. As of December 2017, Mote’s Stranding Investigations Program — the 24-hour response program for marine mammals and sea turtles in Sarasota and Manatee counties — has fielded over 580 calls from members of the public since Jan 1, 2017. In addition to partnering in the multi-agency response for the false-killer whale mass stranding, Program staff have recorded and/or recovered 18 dolphins and whales, including responding to a mass stranding of Fraser's dolphins, along with 110 sea turtles, some of which were brought to Mote’s Sea Turtle Rehabilitation Hospital. Mote responders have also assisted FWC colleagues with four manatee rescues and 17 recoveries of deceased manatees this year. Dr. David Vaughan, Executive Director of Mote’s research facility in the Florida Keys, was highlighted during January in AARP’s #DisruptAging campaign, which focuses on replacing negative and inaccurate stereotypes that exist about aging with a realistic and positive representation of what aging has come to mean. Coral restoration techniques applied by Vaughan and his colleagues allow for restoring large areas of reef-building corals in just one or two years instead of the hundreds of years that some slow-growing corals might need on their own. Updates: Later this year, Vaughan was recognized by the U.S. Coral Reef Task Force (https://mote.org/news/article/mote-scientist-recognized-by-u.s.-coral-reef-task-force) and honored with a prestigious conservation award from The Field Museum in Chicago (https://mote.org/news/article/mote-scientist-receives-parker-gentry-conservation-award-from-chicagos-fiel). Dr. Tracy Fanara, Manager of Mote’s Environmental Health Program, showed her science and engineering smarts as a contestant on Science Channel’s “Mythbusters: The Search,” which launched in January. At Mote, Fanara investigates the effects of marine and freshwater chemicals on the environment and public health. Her job calls for creative mythbusting through investigative design, experimentation and research of environmental issues. She helps the public separate myth from fact regarding the impacts of Gulf of Mexico red tide, Karenia brevis, which produces toxins that can kill marine life and cause respiratory illness in humans. The original “Mythbusters,” hosted by Adam Savage and Jamie Hyneman, launched on Discovery Channel in 2003 and ran through March 2016. In “Mythbusters: The Search,” Fanara and nine other contestants applied their science, engineering and building skills to tough puzzles like finding a needle in a haystack for a chance to follow in Savage and Hyneman’s footsteps. Though Fanara was eventually eliminated from the contestant pool, she said she valued the experience immensely: “I’ve learned a lot from this experience and intend to take that knowledge into future projects. I think growing professionally and personally comes from going out of your comfort zone, and I knew filming for this show on national television definitely was not in my comfort zone. I did my best knowing that this was a stepping stone toward my goal of creating future outreach tools on a larger scale to inspire environmental scientific interest nationally and globally. Updates: Fanara and her colleagues have made exciting progress this year with new tools for monitoring K. brevis red tide. Skip to the June story about a new red tide monitoring app for smartphone users. Fanara and Mote volunteers are also part of a multi-partner HABscope project, funded by a grant from NASA’s Research Opportunities in Space and Earth Science program. The project, led by the National Oceanic and Atmospheric Administration (NOAA) with partners from the Gulf of Mexico Coastal Ocean Observing System (GCOOS), Mote and the Florida Department of Health, involves developing and deploying a smartphone-microscope setup to enhance monitoring of red tide. The HABscope system, being developed by NOAA and GCOOS, combines a new smartphone app with a low-cost microscope adapted to work with a smartphone. The app, being developed by Robert Currier, GCOOS Research Specialist and Product Developer, is designed to allow trained beach observers with specially adapted smart-phone microscopes to collect videos of water samples that can be uploaded to a cloud-based server for automated evaluation. The server uses TensorFlow, Google’s open-source deep-learning library, to identify K. brevis red tide algae cells in water samples from the beach. This system then provides a real-time response on the presence or absence of K. brevis, estimated cell counts and information about whether they warrant a health concern. NOAA and Mote have been field testing the smartphone-microscope-app system since November 2016 with help from Mote volunteers trained to collect small water samples, place them onto a microscope slide, take videos with a smartphone attached to the microscope, and upload those videos to GCOOS for automatic assessment. As of December 2017, 11 Mote volunteers in nine different locations have been trained to sample once per week when no red tide bloom is detected. When elevated cell counts of K. brevis began to be detected by HABscope and other monitoring efforts this fall, volunteers began sampling three times a week. HABscope results are being reviewed by Mote scientists and validated by standard cell-counting methods. In January, Mote released the first episodes of its marine science education podcast, “Two Sea Fans.” During each recorded audio episode, hosts Joe Nickelson and Hayley Rutger interview Mote scientists, educators and their partners about ocean topics that matter to them — from rescuing sea turtles, finding probiotics for fish and studying sharks in Cuba to breeding jellyfish and delving into deep-sea mud. Update: New episodes continue to debut about every two weeks at mote.org/podcasts and as free downloads through iTunes. Mote scientists independently tested the product Barnacle Stop® for its ability to prevent barnacles on underwater structures such as boat hulls, running gear and crab traps in Sarasota Bay, Florida. Dr. Steven Beckham invented Barnacle Stop®, an EPA registered product that controls barnacles, zebra mussels and quagga mussels. Tests essential for EPA registration included analytical chemistry tests by Mote to verify quality control of the active ingredient, and toxicity tests by an EPA certified lab (Marinco Bioassay Laboratory) to show that Barnacle Stop® does not harm either marine or freshwater fish or invertebrates. Thanks to the generous support of the Glaze family and their company, Fort Wayne Metals, in February Mote announced a new research fund in memory of Ronald A. Johnson. The Ronald A. Johnson Memorial Fund will support Mote’s biomedical research to advance studies on cancer-fighting compounds from sharks. In February, Mote announced the first-ever Sarasota area chapter of SCUBAnauts International, which guides young men and women, ages 12 through 18, to participate in marine sciences through underwater research and conservation activities that build character, promote active citizenship and develop effective leadership skills. Update: As of December 2017, the Sarasota chapter is actively hosting meetings on the third Thursday of every month and participating in quarterly regional meetings with all chapters. Like other chapter participants, Sarasota SCUBAnauts have the opportunity to sign up for monthly dives. In February, Sarasota scientists announced a new study revealing that wild dolphins are more likely to be injured if humans feed them — even through unintentional means like discarding bait. Mote scientists released rehabilitated, male loggerhead turtle “Sea Salt” in February off Lido Beach. Local anglers found the turtle floating one mile off Holmes Beach in Manatee County on Oct. 30, 2016, and the turtle was transported to Mote’s Sea Turtle Rehabilitation Hospital. Sea salt was treated with fluids and antibiotics, and he regained his appetite and strength. On the day of release, Mote’s Sea Turtle Conservation & Research Program fitted Sea Salt with a satellite tag, a tracking device that allows scientists to better understand how rehabbed turtles reorient in the wild. Update: Sea Salt’s tag last transmitted in late July. By then, he had traveled a meandering path up, down and offshore of the southwest Florida coast, swimming a total distance of about 1,470 miles (2,366 kilometers), according to his track on seaturtle.org, and covering about an 80-mile range north to south along the coast, according to Mote’s Sea Turtle Conservation & Research Program. Satellite tags can cease transmitting for various reasons, including the tag falling off or the antenna failing due to impact against underwater rocks or other wildlife, along with fouling by marine organisms that prevent the tag from transmitting at the surface. Mote's Sea Turtle Conservation & Research Program staff are analyzing the data from Sea Salt's tag, which should help expand knowledge of male loggerhead turtles' migrations in the Gulf. Sea salt is the sixth adult male sea turtle tagged by Mote scientists. Males are tagged less often because, unlike females, they don’t come ashore to nest and are usually only available to Mote when they are treated and released by the Lab’s Sea Turtle Rehabilitation Hospital. On Feb. 23, Mote President & CEO Dr. Michael P. Crosby announced that anonymous supporters donated $100,000 to help Mote scientists expand their red tide-related research and outreach efforts in Boca Grande. The donors challenged the southwest Florida community to match and exceed this philanthropic investment to support Mote’s efforts to address harmful algal bloom impacts in Boca Grande. Updates: By December, Mote scientists had advanced one type of technology — ozonation — that may ultimately help destroy Florida red tide algae (Karenia brevis) and its toxins in localized marine waterways such as shoreline canals. to December story. Also, in 2018, a portion of the donated funds will help Mote test an aerial drone for enhanced red tide monitoring. Mote scientists are exploring the use of drones, also called unmanned aerial vehicles (UAVs), to detect harmful algae from the sky with 1,000 times better resolution than commonly used satellite-based images. Mote scientists will equip UAVs with hyper-spectral cameras that detect a continuous electromagnetic spectrum, from visible light to near-infrared radiation — all of which are absorbed or reflected by surface algae and provide clues to its presence and identity. Ultimately, this technology will help researchers detect red tide and may help distinguish harmful algal blooms from benign ones. “The Teeth Beneath: The Wild World of Gators, Crocs and Caimans” opened Feb. 25, 2017, at Mote Aquarium in Sarasota, Florida. Now Aquarium visitors can see American alligators and invasive spectacled caimans found in Florida waters and wetlands, and learn how wetland and coastal habitats are vital to native species such as the elusive American crocodile. Gators, crocs and caimans are crocodilians — a group of large, reptilian predators that are sometimes feared or misunderstood but play important roles in their ecosystems, reminiscent of the sharks studied by Mote scientists. Dr. Emily Hall of Mote Dr. Cory Krediet of Eckerd college received a Protect Our Reefs license plate grant to study ocean acidification and climate change conditions on corals using a sea anemone as a model organism, Mote announced in March. Mote administers the Protect Our Reefs specialty license plate and Grants Program, which uses the proceeds from license plate sales for scientific research to uncover the reasons for coral reef declines and more. Hall and Krediet’s Protect Our Reefs grant funded project is focused on using a sea anemone, Aiptasia, as a model system to better understand what changing temperature and pH conditions can have on corals so scientists can be better equipped to conserve corals and protect them from environmental stressors such as bleaching, climate change and ocean acidification. Update: The researchers finished their first ocean acidification and temperature study with Aiptasia anemones and are processing the results. They will continue their lab work on this topic during summer and fall 2018, following some delays due to Hurricane Irma. OCEARCH and its team of collaborating scientists, including Mote Senior Scientist Dr. Robert Hueter, tagged two great white sharks and two tiger sharks with satellite transmitters during a three-week expedition that concluded in March off South Carolina and Georgia. Satellite tags track sharks’ locations and send data back to scientists when the sharks’ dorsal fins break the water’s surface. Hilton, tagged near Hilton Head, South Carolina, has traveled a whopping 6,368 miles, south to Florida, north to Nova Scotia, and south to North Carolina, where he last pinged on Dec. 14. Savannah, tagged near that Georgia city, has traveled an impressive 3,053 miles north to Nova Scotia and south again, nearing her original tagging site by Dec. 14. Weimar traveled 2,033 miles, zig-zagging near his tagging site off Hilton Head, South Carolina, and down near the Florida-Georgia border, then traveling northward near the North Carolina-Virginia border before his tag stopped transmitting in May. Beaufort traveled more than 930 miles up and down the Atlantic Coast, from Hilton Head, South Carolina, north past Morehead City, North Carolina, and then back south, passing Hilton Head again before he was last tracked in April. As of the end of June 2017, Mote Senior Scientists Dr. Robert Hueter is serving as Chief Science Advisor to OCEARCH. “I’m happy to advance shark science and conservation in partnership with OCEARCH and their affiliate, Jacksonville University,” Hueter said. In August 2017, another OCEARCH expedition involving Mote scientists, near the eastern part of Long Island, resulted in satellite tagging 11 baby great white sharks, and identification and/or satellite tagging of several other species of large, oceanic sharks. In March, Mote announced a new peer-reviewed study showing that special body hairs help manatees sense water movements smaller than the period at the end of this sentence — likely helping them feel their way through a three-dimensional, underwater world where their vision is limited. Study authors from Pittsburgh Zoo & PPG Aquarium, New College of Florida, Mote, Loggerhead Instruments and the University of Florida conducted the study with two important, willing participants: Mote’s resident manatees, Hugh and Buffett. In March, Mote announced that Staff Scientist Dr. Erinn Muller had received a National Science Foundation (NSF) Early Concept Grant for Exploratory Research (EAGER) award for two years of research aimed at better predicting how corals react to disease exposure and how that will influence the coral community of the future. This $220,331 grant was awarded to help Muller and two other scientists, Laura Mydlarz (University Texas) and Marilyn Brandt (University of Virgin Islands), study seven coral species from the Caribbean and look for ways to better understand how diseases affect coral communities and how corals may respond to different climate change scenarios. Update: In July 2017, study partners from the University of Texas and University of the Virgin Islands conducted coral disease transmission experiments on St. Thomas with great success. The data is now being processed to determine key genes that may regulate the immune response within these corals. With manatees' reclassification from “endangered” to “threatened” under the U.S. Endangered Species Act announced March 30, people of all ages have expressed renewed curiosity about the future of these gentle giants. In April Mote announced the new book “Florida Manatees: Biology, Behavior, and Conservation” by Mote Senior Scientist Dr. John Reynolds. The book provides an updated look into the lives of these iconic marine mammals and the conservation challenges they face, illustrated with gorgeous color photographs by Wayne Lynch. In April, scientists announced that massive seagrass beds in Western Australia’s Shark Bay — a UNESCO World Heritage Site — had not recovered much from the devastating heat wave of 2011, according to their new study demonstrating how certain vital ecosystems may change drastically in a warming climate. The peer-reviewed study in Marine Ecology Progress Series was led by Dr. Rob Nowicki, a Mote Postdoctoral Research Fellow who conducted the fieldwork while earning his doctorate from Florida International University (FIU). Dr. Michael Heithaus, Dean of FIU’s College of Arts & Sciences, and colleagues from multiple institutions have studied Shark Bay’s ecosystem for more than 20 years. The new study included partners from FIU, Deakin University in Australia and Nova Southeastern University in Fort Lauderdale, Florida. The International Society for Technology in Education (ISTE) honored Mote Marine Laboratory’s digital learning program, SeaTrek.TV, with the 2017 Interactive Video Conferencing Professional Learning Network Content Provider award for their outstanding contributions to interactive videoconferencing. SeaTrek.TV brings Mote's research, animals and exhibits to classroom learners using affordable, easy-to-use distance learning technology. These virtual field trips are an exciting way to engage learners with STEM topics such as diving into Mote Aquarium and chatting with a shark specialist or exploring the Florida Keys and making observations like a real coral reef scientist. Thirty-four sharks were tagged along Florida’s Gulf Coast for studies designed to benefit their populations during a successful research cruise conducted April 17-21 by five scientists, two graduate and 40 undergraduate students from New College of Florida, Eckerd College, Mote and The Nature Conservancy (TNC). The team attached identification tags to 21 blacktip sharks, including 10 females revealed to be pregnant by ultrasound; six bull sharks; three blacknose sharks; and four tiger sharks. Of those, one blacktip and five bull sharks received acoustic tags that will ping when the sharks pass underwater receivers in bay passes, and one bull shark and one tiger shark were tagged by TNC scientists with satellite transmitters to track their migratory movements in the Gulf. In April Mote honored more than a thousand volunteers, including men and women who have donated their time for decades. Dwight Davis was honored for 30 years of service. As an Aquarium docent, Davis has shared his passion for the ocean and educated visitors from around the world about Mote’s research and conservation efforts. April 20, 2017, marked the seventh anniversary of the Deepwater Horizon oil rig explosion in the Gulf of Mexico. The initial explosion killed 11 workers, triggering a cascading series of equipment failures leading to the largest oil spill in U.S. history, spilling 210 million gallons of oil over 87 days. Since the spill, the C-IMAGE consortium centered at the University of South Florida-College of Marine Science, funded by the Gulf of Mexico Research Initiative (GoMRI), and including scientists from Mote Marine Laboratory and institutions around the world, has expanded the understanding of oil spills. C-IMAGE partners are studying the impacts on an ecosystem after an oil spill, revealing the behavior of oil under high-pressure, and predicting the health and reproduction of fish after large spills. Updates: During 2017, scientists from Mote’s Environmental Laboratory for Forensics and Mote’s Marine & Freshwater Aquaculture Research Program collected 1,564 blood and tissue samples from fish exposed to varying concentrations of oil components in ongoing studies at Mote Aquaculture Research Park. The scientists continued evaluating the health of Gulf of Mexico redfish, flounder and pompano in their multi-year series of studies focusing on how fish are affected by oil compounds in their diet, in sediments and in water. By studying whether exposed fish experience DNA damage, immune function changes or other impacts, the researchers hope to help elucidate how wild fish were affected by Deepwater Horizon and set the stage to better understand future spills. As of late 2017, preliminary data suggest that oil-exposed fish tend to have suppressed immune system function, whether they encounter oil compounds in their food or water. These and other findings from the lab will help researchers know what impacts to check for in wild fish. Mote’s fish exposure studies will culminate over the next two years, as Mote and other C-IMAGE partners work to synthesize the results of numerous projects and put them into meaningful context for natural resource managers who work to address oil spill impacts. One Mote study poised to make progress in 2018 investigates whether oil-exposed pompano pass impacts to their young. Pompano at Mote Aquaculture Research Park have been exposed to oil compounds, have spawned (reproduced), and Mote researchers will study their offspring in 2018. Pulster, E.L., Main, K., Wetzel, D., & Murawski, S. (2017). Species-specific metabolism of naphthaleneand phenanthrene in three species of marine teleosts exposed to Deepwater Horizon crude oil. Environmental Toxicology and Chemistry, 9999 (9999), 1-9. In May, threatened coral reefs gained more powerful allies in the Florida Keys as Mote held an official ribbon-cutting ceremony for its new research facility at Summerland Key, Florida. Mote leaders announced that the new facility is now named the Elizabeth Moore International Center for Coral Reef Research & Restoration (IC2R3). Elizabeth Moore, one of the first lead donors to the facility, dramatically increased her support for the facility in spring 2017. The facility is designed to advance coral reef research using: new seawater systems, raceways and experimental tanks for studying multiple reef species facing climate change impacts such as rising ocean temperatures and ocean acidification; molecular equipment to process and prepare samples for next generation sequencing and genomic analyses — for example, to find the best genetic strains of corals for reef restoration; microbial supplies for studying microscopic life forms that can help or harm coral reefs; a carbonate chemistry lab for ocean acidification research; and more. Updates: In September, IC2R3 played a critical role in protecting Mote’s coral gene bank from Hurricane Irma. Skip to September story.In November, IC2R3 became the first LEED Gold Commercial-certified building in Monroe County, honoring its outstanding eco-friendly design and construction. Skip to November story. On May 16, 2017, the United States Patent and Trademark Office granted patent no. 9,651,565 to Mote Marine Laboratory for "Fish sexual characteristic determination using peptide hormones". This innovative method and test kit measures specific hormone concentrations to determine which fish are male or female, succeeding with younger fish than other methodology can assess. Mote's method is useful for sturgeon farming operations that aim to separate young male fish from females, to devote greater time and resources to the high-value, caviar-producing females. The method and test kit can also be used to study the life history of wild fish.This technology was invented by Mote Senior Scientists Dr. Dana Wetzel and Dr. John Reynolds, and Dr. William Roudebush from University of South Carolina. Eight high schoolers from the U.S. Virgin Islands helped outplant 20 elkhorn corals in May along St. Croix, with mentors from Mote and The Nature Conservancy (TNC). The students, led by Mote staff scientist Dr. Erinn Muller, went to coral nurseries with four TNC employees to collect healthy elkhorn coral fragments and transport them to a damaged reef, where TNC staff reattached the corals. Update: Mote scientists hope to revisit the coral outplanting sites with participating students in in 2018. As of December 2017, the status of the outplanted corals has not been assessed because of Hurricanes Irma and Maria. Most of St. Croix remained without power three months after the hurricanes hit the island. Sarasota Herald-Tribune's Reader's Choice Award for Best Local Children's Attraction; Sarasota Herald-Tribune's Reader's Choice Award, runner up, for Best Local Tourist Attraction; SRQ Magazine’s award for Best Local Children's Attraction. In the Florida budget released June 2, a total of $500,000 was appropriated by Florida’s legislators and approved by the governor for Mote’s Coral Reef Restoration Initiative, in coordination with the Florida Fish and Wildlife Conservation Commission and Department of Environmental Protection. This innovative Mote initiative aims to restore approximately 25,000 corals in Florida Keys locations from Bahia Honda to Key West, over about one year. Study: Could acidifying oceans slow coral disease? Coral reefs face intensifying struggles as greenhouse gases warm and acidify the ocean, but a study released this summer highlighted a potential silver lining: Some coral diseases might also dwindle amid environmental change. A controlled lab study led by Mote and published June 1 in the peer-reviewed journal PLOS ONE revealed that black band disease was less deadly to mountainous star coral (Orbicella faveolata) as water acidified, or decreased in pH. In June, Mote scientists announced a new smartphone app that allows the public to self-report impacts of Florida red tide algae (Karenia brevis). Stellar scientists, hero veterans and future leaders planted 500 corals near Looe Key during June, marking the sixth year of a unique partnership involving science, conservation and restoration. Some 36 members of the Combat Wounded Veteran Challenge (CWVC) and SCUBAnauts International joined forces with half-a-dozen Mote scientists for the one-day record-breaking mission on the reef. The number of corals planted marked the most-ever the groups have planted in a single day since they began working together in 2012. Update: Hurricane Irma significantly affected this area during September, and poor water clarity in the ensuing months has challenged scientists working to assess the impacts; so far, observations suggest that hard-bottom habitats in the area were scoured during the storm. Irma’s impact underscores the need for Mote scientists to move forward with coral reef restoration at a massive scale, redoubling efforts to aid these “rainforests of the sea. Some coral restoration sites fared much better during Irma. For example, the reef-building brain, boulder and star corals Mote has planted along Fort Zachary Taylor Historic State Park in Key West remain in very good condition. Mote expanded its educational offerings in summer 2017 with a series of professional development workshops for teachers, announced in June. Mote scientists released approximately 450 juvenile snook into Phillippi Creek in Sarasota County on June 13 for ongoing studies of habitat-use patterns of these important sport fish. The fish were raised at Mote Aquaculture Research Park and fitted with PIT tags (passive integrated transponders), which will be detected when the snook swim near solar-powered antenna arrays installed at creek-front properties. Study results are intended to help inform resource managers and the community to help support snook populations into the future. Update: In September 2017, Mote scientists released 949 snook into North Creek in Sarasota County. In early November 2017, Mote scientists reported that they had released a total of 5,620 tagged snook (with PIT tags detectable by antenna or with coded wire tags) in the past two years, part of a long-term effort that has involved releasing 61,000 snook to local waters over decades. Over time, fine-tuning snook-release strategies has improved the relative survival of stocked snook by nearly 200 percent. Mote scientists have 12 continuously monitoring, solar-powered antenna systems to detect PIT-tagged fish in the Sarasota estuarine area. Mote Marine Laboratory & Aquarium was named Tampa Bay Business Journal’s 2017 Nonprofit of the Year in the Environment and Animals category at an awards luncheon on June 8. The Tampa luncheon honored 38 finalists for Nonprofit of the Year across seven categories: Arts, Culture and Humanities; Crisis Resources; Education; Environment and Animals; Family Services; Health and Human Services; and Public and Societal Benefit. Mote — an independent, nonprofit marine science institution that leads today’s research for tomorrow’s oceans — won among five finalists in the Environment and Animals category. Divers removed 1,079 invasive lionfish from the Gulf of Mexico, saving an estimated total of at least 1.6 million fish from the invasive predator during the fourth annual Sarasota Lionfish Derby, which concluded July 9 at Mote in Sarasota, Florida. The Sarasota, Florida-based derby was a partnership effort among Mote, a world-class marine science institution, and Reef Environmental Education Foundation (REEF), which helps study and address the lionfish invasion, sanctions official lionfish derbies, and provided the estimate of the Sarasota derby's benefit to fish. Mote reported evidence that two nesting sea turtles dragged beach furniture caught on their upper shells during the week of June 12 on Longboat Key — a reminder that southwest Floridians should remove beach furniture at night to protect these threatened and endangered reptiles during their nesting season May 1-Oct. 31. Update: Throughout the 2017 nesting season on Longboat Key through Venice, Mote scientists found evidence that 104 local sea turtles interacted with beach furniture, sometimes dragging chairs caught on their backs. “Ginger,” a Sarasota Bay resident bottlenose dolphin rehabilitated at Mote, was observed with a newborn calf on July 6 by the Sarasota Dolphin Research Program (SDRP), a Chicago Zoological Society program in collaboration with Mote. SDRP has monitored Ginger since her birth in 2005 to a well-known resident Sarasota Bay dolphin. This is Ginger’s second calf. Ginger had her first calf in summer 2015, but it disappeared within approximately six months. Loss of first-born calves is not unusual, in dolphins or many other mammals. Update: Ginger was seen with this calf as recently as Dec. 6, 2017. Mote hosted a screening of the acclaimed documentary “Chasing Coral,” which drew a standing-room-only crowd on July 14 (the documentary’s Netflix premiere date) to Mote’s Elizabeth Moore International Center for Coral Reef Research and Restoration (IC2R3) on Summerland Key, Florida. Mote scientists were delighted to host “Chasing Coral” cast member Zack Rago for a dive in Mote’s underwater coral nursery just off of Summerland Key. Mote wants the world to know about the threats affecting coral reefs — including coral bleaching due to warming water, the focus on the documentary — and understand the science behind innovative strategies to restore reefs. In November, Mote’s Sarasota campus screened “Chasing Coral” for Mote members, with a panel discussion featuring two Mote scientists and cast member Rago. In August, Mote scientists announced the launch of their new study on how to farm almaco jack – a fish served as sushi or in cooked dishes in some parts of the world, but never before farmed in one of its major habitats, the Gulf of Mexico. By studying how to raise and spawn Gulf stocks of almaco jack in sustainable, land-based aquaculture systems, Mote scientists hope to provide essential knowledge to help the aquaculture industry produce healthy, juvenile almaco jack in land-based farms to supply offshore cage farms. This research underscores a new opportunity for Gulf-based aquaculture. In January 2016, the National Oceanic and Atmospheric Administration (NOAA) announcedthe Fishery Management Plan for Regulating Offshore Marine Aquaculture in the Gulf of Mexico (Gulf Aquaculture Plan), which will allow as many as 20 offshore aquaculture operations in Gulf waters to be permitted over 10 years. Mote scientists and citizen-science volunteers completed a two-year effort to plant 12,000 corals along Fort Zachary Taylor Historic State Park in Key West during August. The project, funded by Monroe County Tourist Development Council, involved planting more than 12,000 fragments of five coral species along a publicly accessible snorkel trail during summer 2016 and 2017. Most of the restored corals were rescued by National Oceanic Atmospheric Administration, propagated by Mote scientists and outplanted in the same general area where they were initially found. The outplanting area is represented by educational signs on shore and at NOAA’s Florida Keys Eco-Discovery Center in Key West. Update: These outplanted corals remain in good condition following Hurricane Irma, which scoured some other parts of Florida’s reefs. In September, Mote announced a new study in the scientific journal Marine Policy, which shows that banning the sale of shark fins in the United States can actually harm ongoing shark conservation efforts. Study authors Dr. David Shiffman of Simon Fraser University’s Earth2Ocean research group and Dr. Robert Hueter from the Center for Shark Research at Mote say that the proposed Shark Fin Sales Elimination Act of 2017, a bill currently in committee in U.S. Congress, is a misguided and ineffective approach to protecting sharks. On Sept. 14 U.S. Rep. Vern Buchanan’s office announced the exciting progress of their proposed amendment to boost federal government funds for research and mitigation of the Gulf of Mexico’s harmful algal blooms known as red tides. Buchanan’s proposed amendment was adopted into the Make America Secure and Prosperous Appropriations Act of 2018, which passed the U.S. House of Representatives. On Sept. 10, 2017, the Category 4 Hurricane Irma moved directly over Mote Marine Laboratory’s Elizabeth Moore International Center for Coral Reef Research & Restoration (IC2R3) on Summerland Key, Florida. Like hundreds of thousands of others in the southeastern U.S., Mote staff prepared intensively for this massive storm, waited out the worst of it as safely as possible, and moved quickly to assess and recover from storm impacts. IC2R3 was built to withstand a Category-5 Hurricane. Its structure stood strong during Hurricane Irma, protecting a critical seed bank of corals for restoration, but its exterior infrastructure such as coral raceway systems, specialized tanks and chillers were significantly impacted. Mote has insurance to cover hurricane damages at IC2R3, but repair needs will most certainly exceed this coverage. The Sarasota-based Mote Marine Laboratory & Aquarium, and its resident animals, remained safe during Irma. Mote staff came together to clean up and reopen the Sarasota campus within days after the storm. IC2R3 began to reopen just over a week after Irma, and many operations resumed gradually over the ensuing weeks to months. However, underwater operations have been challenging due to poor offshore conditions, such as murky water and high winds, during the post-storm months. IC2R3 repairs are progressing, with multiple new exterior coral raceways added. The ocean acidification research system is in the beginning stages of a rebuild, which will ultimately yield a bigger, better system that is expected to be up and running in spring 2018. Within days of Hurricane Irma crossing the Florida Keys on Sept. 10, 2017, National Oceanic and Atmospheric Administration (NOAA) managers and scientists, partner agencies and local organizations launched an unprecedented effort to rapidly assess sections of the reef tract and conduct coral rescue and stabilization. NOAA and partners are preparing a more detailed update, expected in the coming weeks. The post-Irma rapid assessment and recovery missions have involved multiple NOAA programs: Office of National Marine Sanctuaries, Fisheries Habitat Conservation, Restoration Center and Southeast Regional Office, National Centers for Coastal Ocean Science, and the Office for Coastal Management’s Coral Reef Conservation Program. Additional partners included Florida Department of Environmental Protection, Florida Fish and Wildlife Conservation Commission, National Park Service, Nova Southeastern University, Coral Restoration Foundation, The Nature Conservancy, Florida Aquarium Center for Conservation, Mote Marine Laboratory, Force Blue, and the National Fish and Wildlife Foundation.